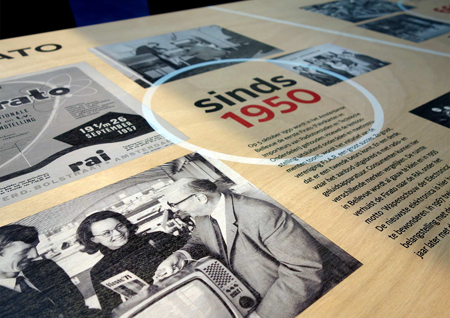 Exhibition RAI EXPOSED celebrates 120 years of history of one of Amsterdam’s iconic institutes. 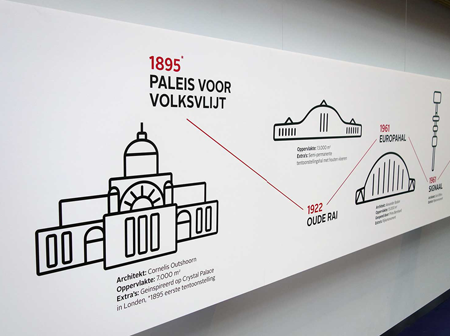 In collaboration with the curators of the Amsterdam Museum OTW created a series of ‘conversation pieces’ for the opening of the youngest building of the RAI complex. 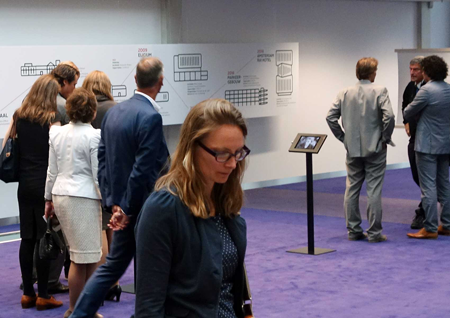 These exhibits provide an attractive backdrop for the various corporate functions held in Amtrium. 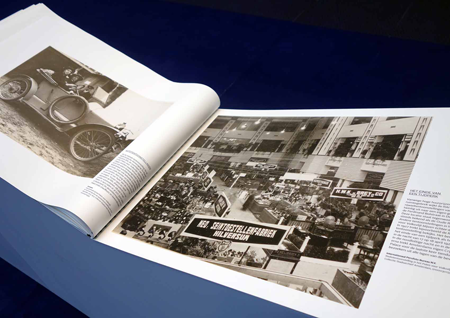 Instead of the introduction at the entrance, an album of historic images illustrates the phenomenon beurs – meaning a place of meeting and exchange of goods and knowledge. 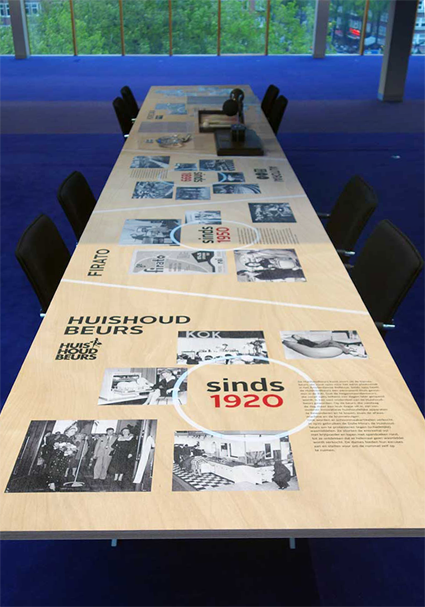 A meeting table is used as a medium to tell about the many successful events organised by the RAI. 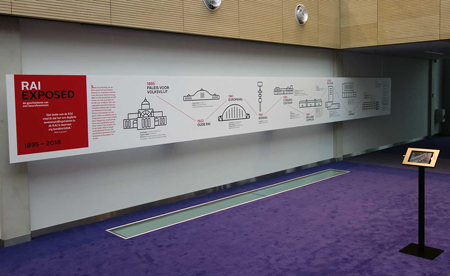 And a blow-up of a facts&figures sheet features the fascinating architecture that RAI procured and inhabited over the years. Exhibition was curated by Kees Zandvliet and Sarah Remmerts de Vries. All graphics were designed by Andrews Degen studio from Amsterdam.